• The contents of Mark Bittman’s award-winning book, including more than 2,000 meatless recipes and recipe variations—from easy stir-fries, pastas, and burgers to do-it-yourself projects like tofu and cheese from scratch. • No-nonsense cooking guidance: how-to illustrations; equipment, technique, and ingredient information; and meal-planning ideas. “Mark Bittman's category lock on definitive, massive food tomes continues with this well-thought-out ode to the garden and beyond. Combining deep research, tasty information, and delicious easy-to-cook recipes is Mark's forte and everything I want to cook is in here, from chickpea fries to cheese soufflés." Love this app? 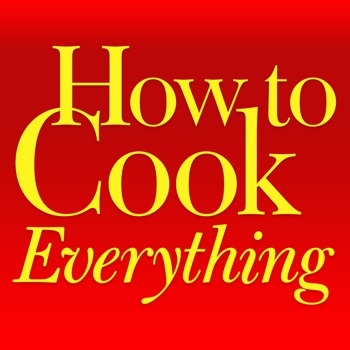 Check out its companion app: How to Cook Everything.